If you’re looking for a replacement door, getting familiar with the different styles available is a good way to start. Which of these styles is right for your home? 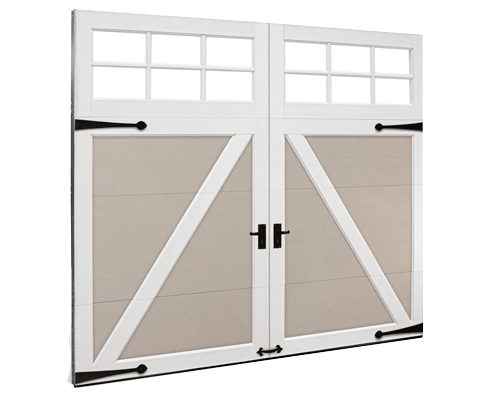 The short panel design is one of our most popular options, staying consistently high in demand over time, This style is characterized by symmetrical, square raised panels. These panels give a clean, classic look with just enough texture and depth to complement any style of home. 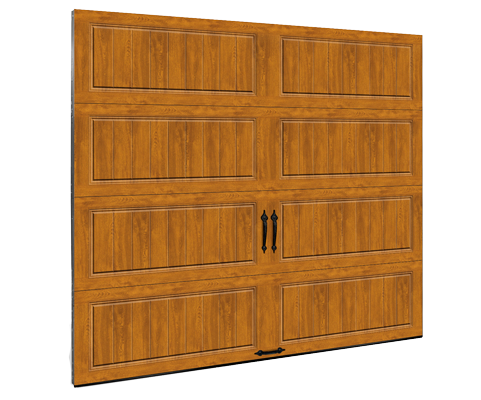 Long raised panel doors are similar in design to their short panel counterparts, offering the same streamlined appeal. However, as the name suggests, their panels are double the length. Their added length makes them a particularly desirable option for single story houses which tend to have longer lines, such as ranch and cape cod styles. Some manufacturers offer these panels in a recessed option in addition to the traditional raised look. This is the most primary style. The panels are generally flat, although they do have some texture. This style is useful in situations where you want the doors to have a subtle presence, and not distract from surrounding elements. Modern doors are characterized by sleek lines and clean design. They feature streamlined grooved panels which often creatively incorporate glass. There is minimal hardware visible on the doors so what you see is pure design. 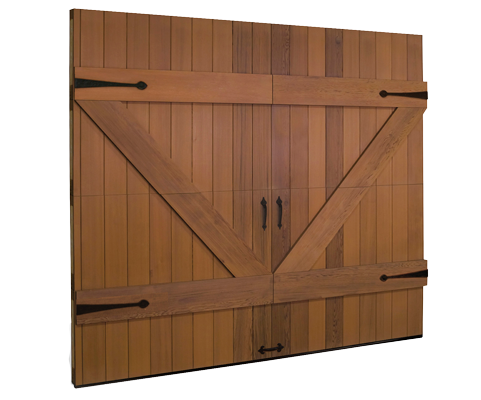 Carriage house doors are a terrific option for those looking to add historic charm to their homes. 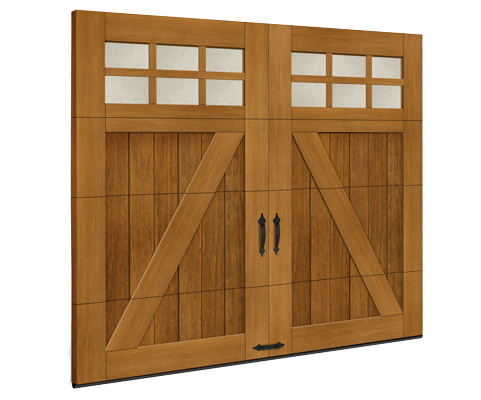 These doors are built to resemble the traditional carriage house doors of the past. They combine the beautiful artistry of a bygone era with the convenience and functionality of a contemporary door. 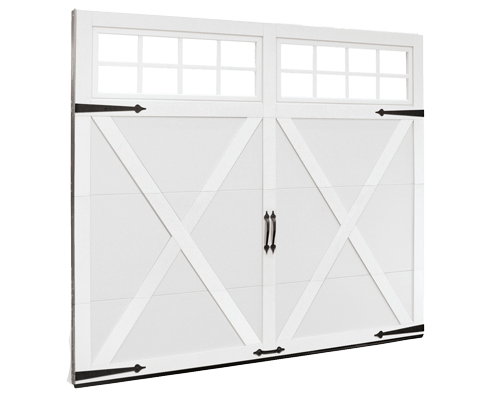 Traditional carriage house doors were designed to open outward, however these new models come with the modern conveniences of overhead engineering and remote access. They are available in a wide variety of styles, and are highly customizable too. We can paint or stain them to your specifications, and personalized them with whatever decorative hardware you choose. Aesthetics, durability, and cost are factors that may affect your choice of materials. Wood doors offer unique aesthetic advantages. They can be constructed from various types of wood and stained to showcase the wood’s natural beauty. They can also be designed to complement the color scheme of your home. However, they are a bit more expensive and do require more maintenance than doors made from other materials. 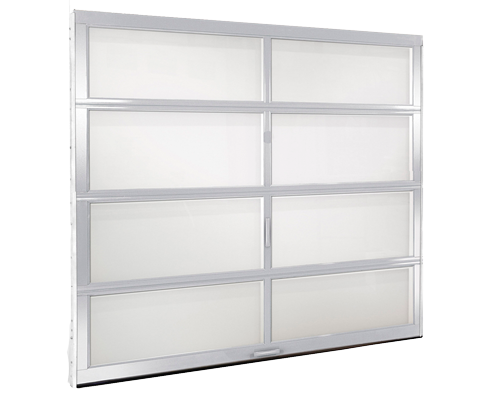 Steel doors are economical, strong and relatively durable. They provide better insulation from extreme temperatures than most materials. They are available in a wide range of colors, designs, and sizes including some that simulate wood. Fiberglass doors are growing in popularity, partly because they don’t dent, rust, or warp. They can be designed to resemble the look and feel of wood doors, but require less maintenance and are more energy-efficient. They are available in a variety of factory colors, and can be stained or painted any custom shade. They are also one of the most durable options available. From multi-layer construction to overlays, from polystyrene sheets to polyurethane injection, we offer a range of options that make for some of the most energy efficient doors available today. 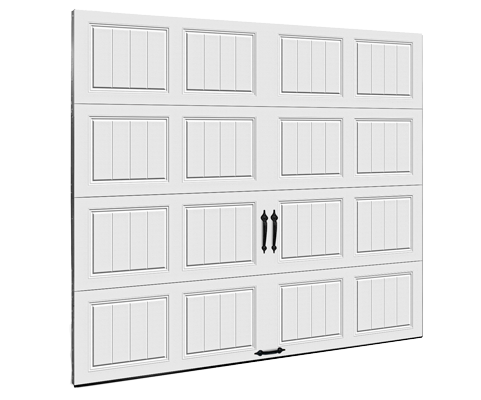 The industry typically measures the energy efficiency of garage doors using R-values. 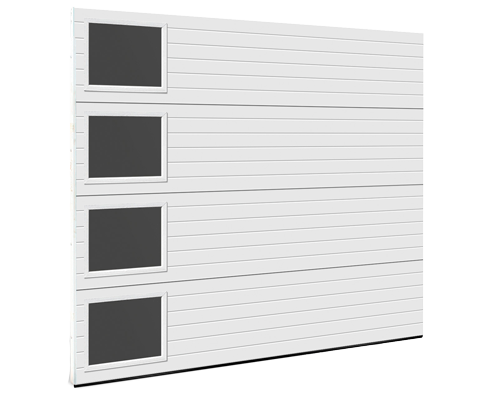 Most doors on the market today have R-values between 6 and 16; the higher the value, the better insulated the door. However, R-values are not perfect measures of how much energy the door will save once installed. 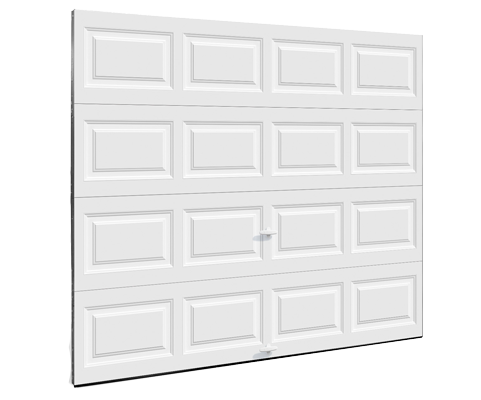 Frequency of opening your door, temperature extremes, location of your garage in the home and other factors may play much larger roles. We can help you decipher confusing R-values so you will understand more about how high-efficiency doors might affect your energy bills.